As seen at Wings Beach Wear on St. Pete Beach. Unfortunately, I did not have my good camera at the time — only my cellphone — but rest assured these crabs are dead. When handled, they fell out of their shell (dead). If you look closely, you can spot some shell-less crab corpses in the water and next to the bowls. I wish this blog had “smell-O-vision” to get the full effect. 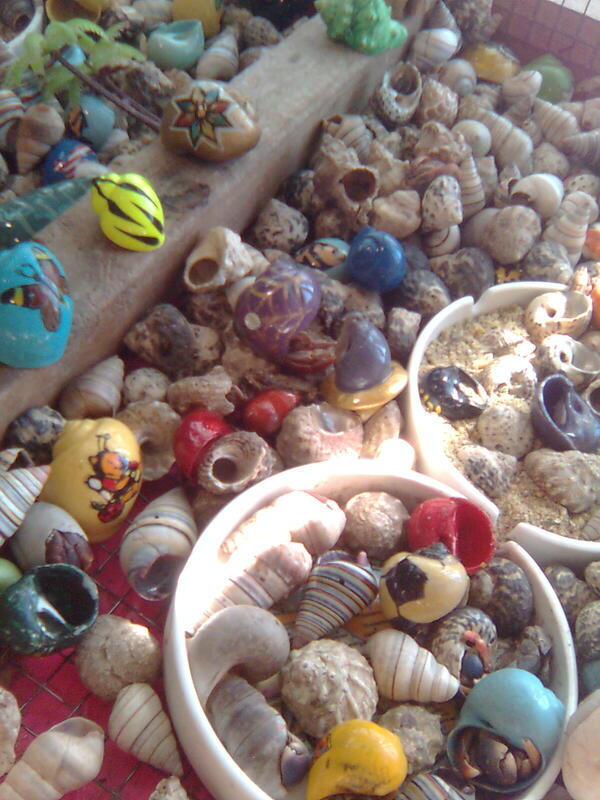 Now, I’m no PETA member who rails against keeping hermit crabs as pets, but I do think even invertebrates deserve a little respect. Unfortunately, stores like Wings treat these creatures as disposable inventory instead of live animals that may feel pain. If anyone else cares, steer your friends away from Wings. 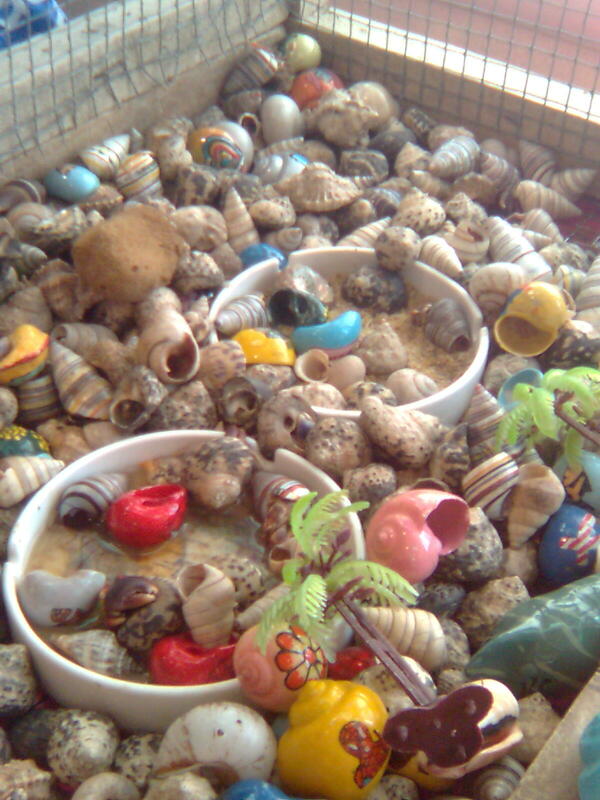 Hermit crabs are probably best sold at pet shops that know how to care for them anyway.